Frame denotes print available as Giclee on canvas This is a contemporary painting of the City of Charleston. 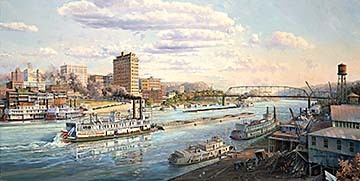 The three vessels shown, the M/V Lawson Hamilton, the Momma Jeanne and the P.A. 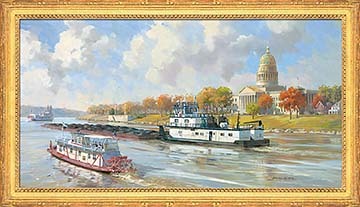 Denny have been familiar water crafts on the Kanawha River for many years.